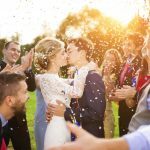 Love and… Remarriage: What is the Etiquette for an Encore Wedding? As I write this I’m fondly remembering my good friend’s “Encore” wedding I recently attended. 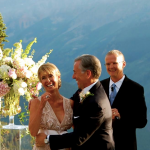 They orchestrated an amazing weekend-long party full of fun activities, incredible food and a heartfelt ceremony, in one of most beautiful settings imaginable- Aspen, Colorado. 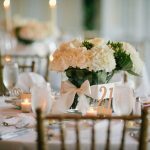 When planning an encore wedding there are many questions. Can you wear white? Should you keep it small? What about attendants? And registries? What etiquette should be followed when marrying for a second or even third time? It seems there are many strong opinions, but not a lot of information about what’s appropriate and what’s not. Tell Your Children First – Ideally, each parent should tell their children privately and in person (or if absolutely necessary- over the phone). Sometimes the news is welcome and happy, but sometimes it may cause concern. If your news is not immediately welcomed, be patient. Validate your children’s concerns, and reassure them that you will all work together to build your new family. Tell Your Ex Next – If you have children together, your former spouse should be the next to know, whether you have a good relationship or not, and especially if you share custody. You may even feel it’s best to inform your Ex first so they are prepared to react appropriately with the children. Then Family – Now you can inform your family and close friends, starting with your parents and siblings. Additionally, this is a good time to inform your previous in-laws, if you are still on good terms, or if you are a widow or widower. And Everyone Else – Now is the time to tell your other friends and co-workers, and share it on social media. My friend has two adult sons. Before her husband proposed, he spoke with each of her sons individually and asked for their mom’s hand in marriage. What a beautiful gesture! Also, before she shared the news with others, my friend chose to call her ex and let him know. Just as my friends did, it’s key to consider the feelings of others when sharing the happy news. For a bride, the most important question is what is she going to wear? Years ago it was practically forbidden to wear white for a remarriage, but today literally anything goes. Of course, I would encourage being tasteful. Choose a dress or suit that compliments your personality, figure and venue. My friend wanted a dress that complimented her venue. Because she was getting married in a beautiful outdoor, mountaintop setting, she chose a floor-length beige chiffon dress with a leaf-like sequin and embroidery overlay. My friend chose not to create a registry, as she and her fiancé only wanted their guests to come and celebrate with them. They did, however, receive some gifts and promptly wrote heartfelt thank you notes to the givers. If you are young (or relatively so) and your parents offer to contribute to or pay for your wedding, that’s wonderful. The point is that you should wait until they make the offer, don’t just expect them to foot the bill. It’s perfectly fine to have one or two people standing with you during the ceremony, even if they are the same women from your previous marriage. I recommend keeping the number small and their financial obligations low. You may want to cover the cost of their dress or ask them to wear something they already own. My friend did not have attendants. But her handsome sons did walk her down the aisle. This time around you’re older, hopefully wiser and more confident. Stay true to yourself and use your best judgment. Every encore wedding is different and your decisions will be influenced by your age, family situation and budget. My friend’s encore wedding was, hands-down, the best wedding I’ve attended. It was a true expression of who they are. But what really set this event apart was the palpable happiness and joy of the couple and their friends. It was contagious. I caught it and it seemed everyone else attending did also. That’s what you’re hoping for! If you have questions or comments about this post, or about gift giving, bridal shower, baby shower, or wedding etiquette, please comment below or email AskCheryl@RegistryFinder.com. We will personally respond to your questions and may also use them as the subject of a future blog.